Members and staff of CPMA and CHC in front of Parliament Hill in Ottawa. 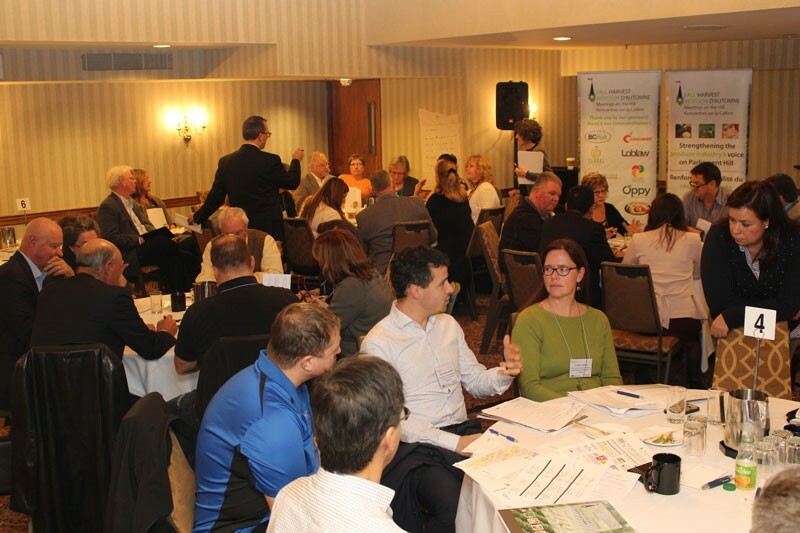 On November 22 and 23, industry leaders representing the Canadian Produce Marketing Association (CPMA) and the Canadian Horticultural Council (CHC) met with nearly 60 Parliamentarians and civil servants in Ottawa to discuss key issues currently affecting the Canadian fresh fruit and vegetable sector. Notably, CPMA and CHC representatives addressed the need for a national fruit and vegetable nutrition policy, as well as chronic labour shortages in the agricultural sector. Both issues are critical for the industry and have severe implications on the cost and quality of produce for the Canadian consumer. 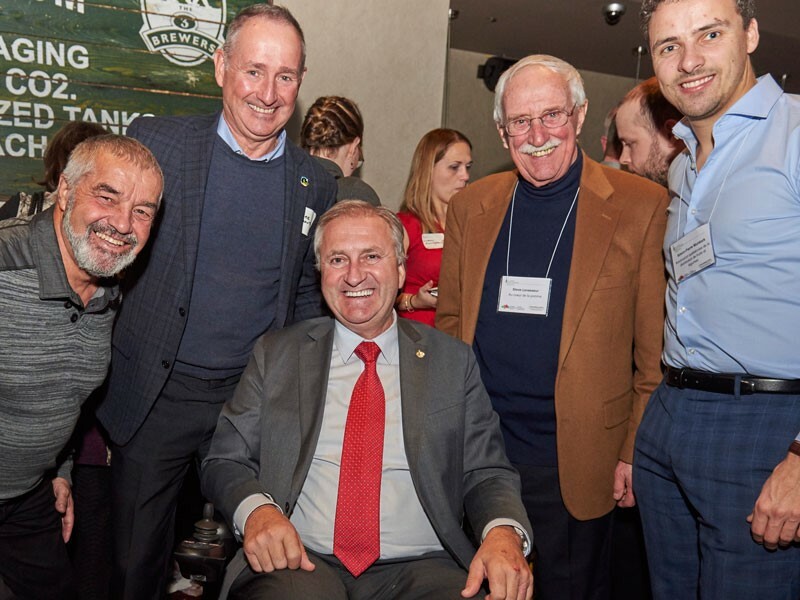 Following these intensive meetings, the CPMA and CHC also hosted a well-attended reception where representatives of the produce industry were able to cement relationships with MPs and their staff in a more informal environment. In addition to providing a diverse supply of healthy food for Canadian consumers, Canada’s fresh fruit and vegetable sector makes an important contribution to national economic output and employment. In 2013, the fresh fruit and vegetable sector supported 147,900 jobs and created $11.4 billion in real GDP. On Monday afternoon, participants assembled in preparation for their meetings. Summa Strategies, an Ottawa-based political consulting firm, led the training session. Members and staff of CPMA and CHC prepare for meetings with Members of Parliament. 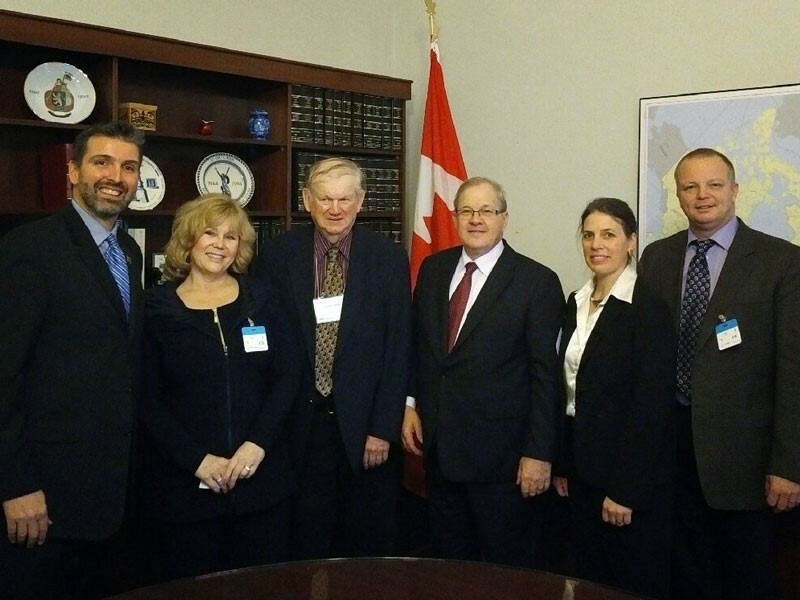 Members of CPMA and CHC met with nearly 60 members of Parliament to discuss key issues currently affecting the Canadian fresh fruit and vegetable sector. One of several meetings between CPMA, CHC and Members of Parliament. From left to right: Ron Lemaire, President, CPMA; Margie Schurko, Secretary/Treasurer, BC Produce Marketing Association; John MacDonald, Board Member, PEI Wild Blueberries Growers Association; The Hon. Lawrence MacAuley, Minister of Agriculture and Agri-Food; Rebecca Lee, Executive Director, CHC; Jan VanderHout, Vice-Chair, Ontario Fruit & Vegetable Growers Association. CPMA and CHC held a casual off-site reception where participants furthered relationships with MPs and their staff. The event was very well attended and enabled participants to continue conversations that were started earlier in the day, or to initiate dialogues that will be continued in future meetings. From left to right: Jean-Marie Rainville and André Plant, Association des producteurs maraîchers du Québec; Jean-Claude Poissant, Parliamentary Secretary to the Minister of Agriculture and Agri-Food and MP for La Prairie (Quebec); Steve Levasseur, Au coeur de la pomme; Simon-Pierre Murdock, Quebec Produce Marketing Association.